If you read any of my previous articles you would have noticed that I really enjoy kids toys that are at the same time educational in nature. Today I want to share with you mBot, another educational toy for kids. 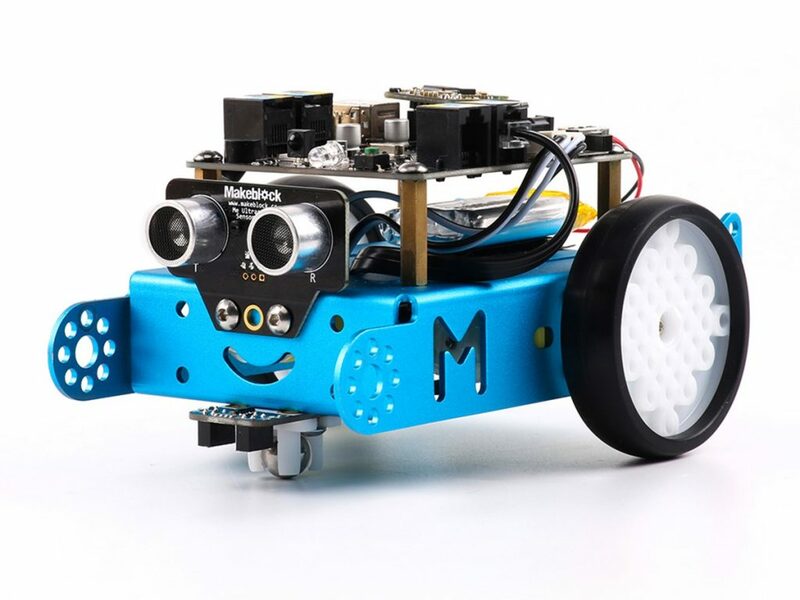 mBot is a robot that helps kids learn about the basics of robotics. Before we start, be warned that mBot is a bit more advanced, so it might not be suited for everyone. My husband was the one that hooked everything up and showed out oldest how to send commands to the robot via the computer. Robot itself is made to work via programming from the PC. There is software where the kid can draw a sequence of commands using a tool similar to Paint. Then the drawing gets translated into a programming command that can be loaded onto mBot. mBot then does tricks described in the software. It sounds very technical coming from me, I know, but it’s really easy to do once you get the hang of it. Kids ages 12 and up can play with this little robot. Keep in mind that the parent will probably have to help with the initial setup. There is an instruction manual that can be used, but it might be a bit too complicated for a kid. Despite that, I think that this robot is the perfect toy for an inquisitive child that gets easily bored with more simplistic toys. Another reason why this robot is great is its price. For around 100$, it is one of the more cheapest robot kits out there. Try it and let me know what to think by leaving a comment down below.